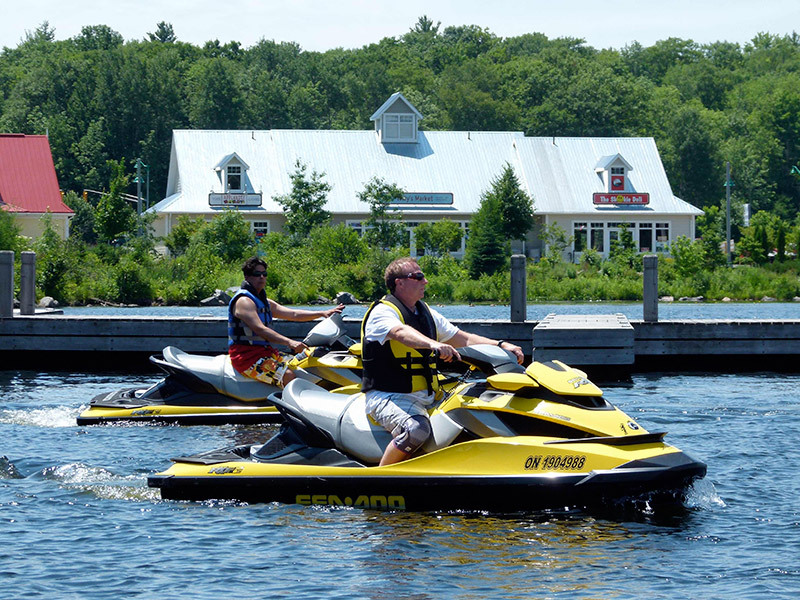 Many of the people I introduce to Sea-Doo Watercraft riding are already powersports enthusiasts. Mostly, they ride snowmobiles, ATV’s or motorcycles. That helps when it comes to their first Sea-Doo ride, but sometimes what works on the snow, dirt or pavement does not on the water. The first point I make in my orientation is that riding watercraft is not a linear activity. It doesn’t occur on a trail or road, where I mostly have to watch front and back for other traffic. Riding watercraft is a 360˚ activity, so it’s imperative to watch all around you all the time. I tell my friends that traffic can come at you from any direction on a PWC, so don’t make a move without first checking your mirrors and looking to each side. So far, no close calls, but I can never be too sure. Next, if I say they may have to forget familiar operating habits from their other powersports vehicles. 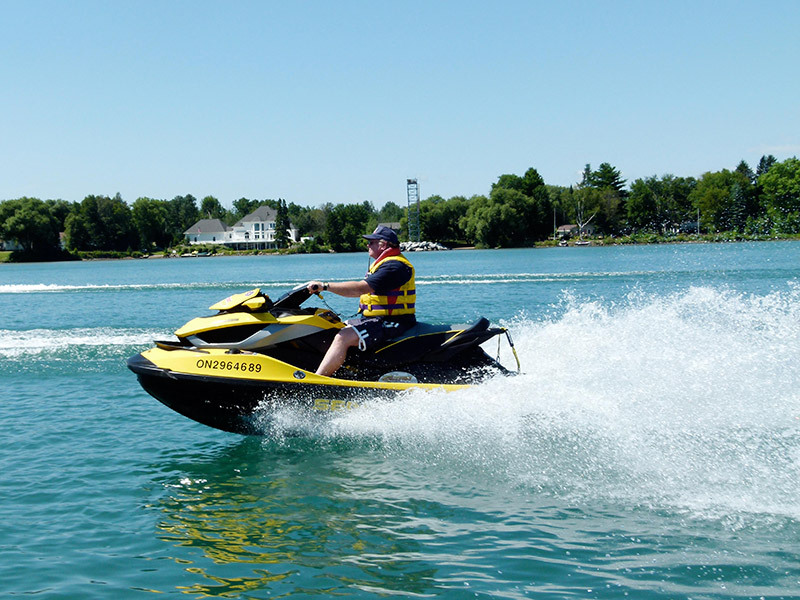 The step-by-step start up procedure on an iControl equipped Sea-Doo watercraft may be different than what they’re used to, especially if they ride Ski-Doo snowmobiles. The new iControl equipped Sea-Doo watercraft also have a finger throttle and that may take some getting used to initially. The left hand brake lever may look familiar, but on my Sea-Doo model it also operates reverse and neutral, so it’s much more than just a brake. But the biggest surprise is the multitude of new technology options that come from iControl. This isn’t your father’s Sea-Doo! It’s a masterpiece of integrated systems that can take some getting used to. So I tell new-to-iControl riders just to relax and enjoy their first ride. Yes, they need to know how to start and stop the engine, how to use throttle, brake and reverse and learn how to steer, turn and look all around. But some of the main iControl systems, like VTS and iS, operate automatically, while others work unobtrusively in the background. Others can be learned as each rider becomes more experienced with the PWC. With every first timer, I get a kick out of riding for the first half or the ride (or until I think they are comfortable) in Touring Mode. By this time, they are usually grinning ear to ear with the thrill of the ride and feeling pretty confident. Then I casually suggest they try the Sport Mode and hang on tight. WOW! I think I’ve seen a few jaws dislocated by mile wide smiles, and heard more than a few yahoos and yippees! Nothing like Sport Mode to ramp up the excitement. Talk to you next time!